Bumbles Café is special. Right when you set foot into it for the first time you will see how much love and effort their team has put into it. The beautifully decorated rooms, the delicious cakes on display and the amazing smell wafting from the kitchen. It is the only café that I have seen so far that celebrates having several rooms, by decorating them so differently. 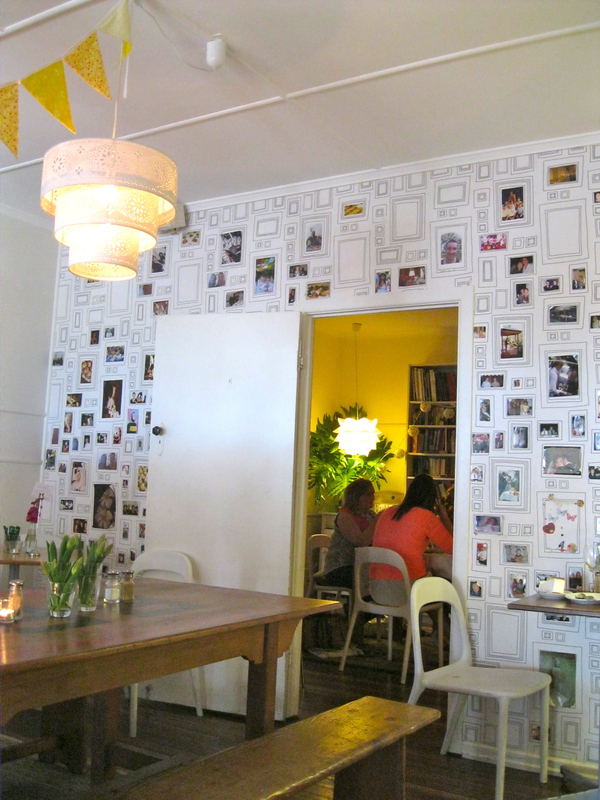 It does not look like your average coffee shop, it looks like you are at your artist friend's home. They have free wifi and with every ten coffees you receive a free one. And you can sit outside as well and enjoy the river view. But not only their coffee is exceptional, their food is as well. I had the Bircher Muesli ($15.50) for breakfast and I have to say it was the best one I've ever had outside of Switzerland, plenty of fresh fruit and honeycomb. 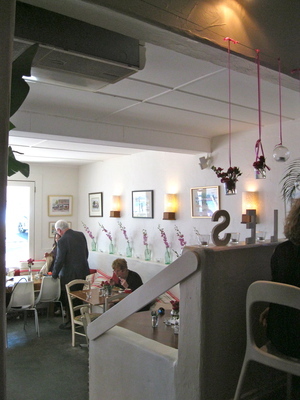 Bumbles also does lunch, you can have dinner only on Thursdays and bookings are essential. You can find the full menu on their homepage, as well as the story about how 'Bumbles' came to its name. It is just a five minute walk from the center of Surfers Paradise on Budds Beach and definitely worth a visit! They are open Mon- Wed, Fri- Sun from 7 am - 3 pm and only Thursday from 7 am-10 pm for dinner. Why? Because you will love it, too!